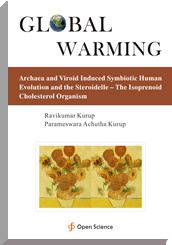 Global warming leads to increased endosymbiotic archaeal growth and generation of new cellular organelle called the steroidelle. The steroidelle catabolizes cholesterol and generates endogenous digoxin. Digoxin plays a crucial role in neuro-immuno-endocrine integration.